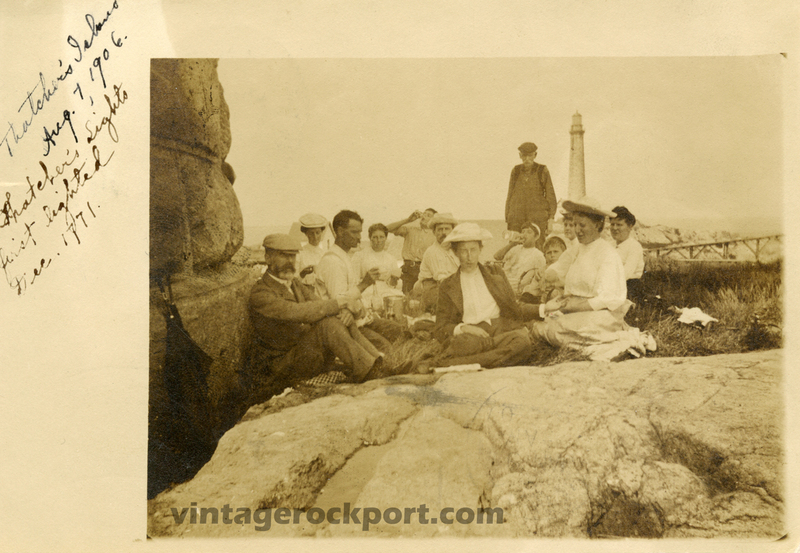 They are picnicking in the only shady place on the island in the shadow of the south tower.Note the tramway trestle on the right going to the roof of the whistle house(not shown).The oil house is directly behind the woman on the far left. The man standing could be the keeper Addison Franklin Tarr who served from 1876 to 1912 longest ever 36 years.These people could have been relatives.He probably told them the only shady place is next to the south tower. In these year the island was barren of any vegetation. Thanks for your insights Paul.